After spending several years researching and working as a health professional I developed a set of theories and recommendations that I regularly use both for my own healthy, happy weight maintenance and for my clients. Because paleo food is awesome. It’s great for weight loss. But then beyond simple weight loss with paleo, you can accelerate your weight loss with paleo tips and tricks, most especially macronutrient management. You can read every one of my weight loss accelerating tips in the program I finally packaged together for you, Weight Loss Unlocked, here. In the meantime, here are the basics to get you started, and what I think the ultimate paleo weight loss plan is. There are a lot of great things about paleo. The most important, however, is the sheer quality of the food. The paleo diet is the most nutrient-dense diet that exists, so long as you do it “right.” This means that you eliminate unhealthy foods like processed foods, seed oils, sugar, and grains from your diet. This is important – it’s incredibly important to eliminate foods that can cause harm. Yet it also means that you focus on including the best foods possible. Don’t just eat one or two kinds of vegetables, but twelve or twenty (and be sure to include greens like kale, chard, Brussels sprouts and spinach). Eat at least 5 servings of vegetables a day. Having a variety of vegetables in your diet and eating plentiful amounts is key to nourishing your body the best you can. Eat organ meat like liver. Liver is the richest source of vitamin A in the world and is also rich in vitamin K, B vitamins, iron, and so much more. It might not be the most palatable food in the world (though I personally love it). If you cannot stomach the idea of organ meat, try a desiccated liver supplement like this one. Eat high quality, wild-caught fatty fish like salmon once or twice a week. These foods are rich in the super healthy EPA and DHA fatty acids, and also in vitamin D. If you cannot get your hands on good, wild-caught fish, try a fermented cod liver oil supplement. High quality foods cool inflammation, heal tissue damage, help your body detox, and balance hormones. The most important thing you can do for weight loss is provide your body with the fuel it needs to in fact be healthy enough to lose weight. No matter how hard you try to lose weight, you might not be able to if you suffer from an underlying health condition. Thyroid diseases like hypothyroidism or Hashimoto’s thyroiditis are super common problems for people trying to lose weight, especially women. Irritable bowel syndrome (IBS), Small Intestinal Bacterial Overgrowth (SIBO), and leaky gut are all gut health problems. They might not seem like they are important for weight loss, but they are some of the most important. Without a healthy gut, you cannot absorb nutrients well, or have a healthy hormonal response to food. Autoimmune diseases are also very important to tackle. The best guide for overcoming them, in my opinion, is Sarah Ballantyne’s, here on Amazon. Figure out your underlying issues by taking stock of your body. What symptoms do you experience? When? For how long? How long have you had them? Take your answers to google and to the doctor. Get some tests done. Paleo is fantastic for healing, but a more targeted approach can help heal you all the faster. Then, the faster you heal your underlying problems, the faster you can lose weight. Overeating is a problem that can prevent weight loss. You don’t want to snack too much, to eat beyond fullness, or to exceed your daily energy requirements on a regular basis. Most people don’t know this, but under eating can be just as much as, if not more of, a problem. Because even while under eating reduces calorie intake and therefore cause weight loss in the short-term, it causes health and hormone problems in the long-term. This is especially important for women. The female body has many mechanisms specifically designed to store body fat if it thinks it is being starved: this protects a woman (and her baby) from dying if she is pregnant. If you undereat on a regular basis, your body may think that it is being starved, and it will slow down thyroid function, and therefore fat burning. In order to experience optimal weight loss in the long run, you absolutely must prevent this kind of damage from happening. The key to doing so is just being sure to eat when you feel hungry. Don’t starve yourself. Don’t make yourself wait on purpose. Don’t give yourself a set number (say, 1500) of calories to eat in a day. Don’t even give yourself a set amount of food. Energy needs vary day by day. If you feel like you need to eat more, do it. The key to weight loss is not to exercise harder, but to exercise smarter. One of the best things about the paleo movement is that it doesn’t only teach us how to eat, but it teaches us how to get fit, too. Running, cycling, using the elliptical, and other cardio exercises are not the panacea most people make them out to be. They do not burn as many calories as the people who sell them would like us to believe. Nor do they build muscle all that well. They also elevate stress hormone levels if done on a regular basis. All three of these factors make them inferior for weight loss. Instead of doing cardio, I like to recommend doing a mix of three things: weight lifting, short, intense sprint work-outs, and slow, “happy” movement. For me, this looks like lifting weights once or twice a week, doing a couple sprint workouts a week, and going dancing at night. 1) muscles require more energy to maintain, so if you build muscle, your body will burn more calories over the course of any given day, regardless of whether you work out. 5) exercising too much, like many cardio exercisers do, is stressful to the body. With short weight lifting and sprint workouts you minimize the amount of stress hormone in your bloodstream. So exercise smart. Lift heavy weights twice a week, do two sprint workouts a week, and walk or do yoga and dance or any other fun activity as often as possible. Here is where I get very specific about the plan. In previous steps I’ve talked about healing, reducing stress, sleeping as much as you can, and exercising smart. These are super important parts of the plan – in fact, I would argue that they are the most important. Yet after all my time working the paleo health world, I have realized that gently keeping track of macronutrient intake can go a long way. Basically – studies have shown that people do well on both low fat and low carb diets. In fact, low fat and low carb diets are the front-runner best diets for weight loss (next to paleo, anyway!). The best way to lose weight is to combine one of these macronutrient-managed diets with paleo. Basically, I recommend that you go lower carb or lower fat. The list of reasons why you might choose one or the other is long. You may want to eat a lower carbohydrate diet if you have diabetes or an insulin signaling problem, if you have a FODMAP or other kind of gut bacteria issue, if you are menopausal, or simply if you do not enjoy sweets. You may want to eat a lower fat diet if you have suffered from undereating or overexercising in the past, if you have a thyroid issue, if you simply don’t seem to do well on a high fat diet (some people simply don’t have good genes for breaking down fat), or if you enjoy sweet more than savory foods. It is a matter of experimentation, to be sure – but it is entirely worth it for the weight loss and healthy weight maintenance benefits you can enjoy. By lower carbohydrate I mean still approximately 100 grams of carbohydrate a day (and more if you are an athlete). It can be more than this. It can be slightly less. Good carbs to eat are fruits and starchy vegetables. So the key is not to eliminate fat or carbs, but rather to focus more on one than on the other. This helps you spontaneously reduce calories, as well as helps your body streamline its metabolism for the kind of fuel you have found works best for it. I recommend that you try either approach for two-three weeks and see how you feel. If you do not like it, then the other macronutrient may be better for you! The “Ultimate Paleo Weight Loss Plan” I just outlined might seem super complex to you if you are new to paleo! There are so many things to remember! But it just seems that way on the surface. Focusing on fresh fruit and vegetables, wild-caught and grass-fed animal products, and healthy fats like olive and coconut oil will take you a long way towards greater health and weight loss. You can do all of the macronutrient managing by going low carb or low fat, too, but that is secondary to eating whole, paleo foods in general. 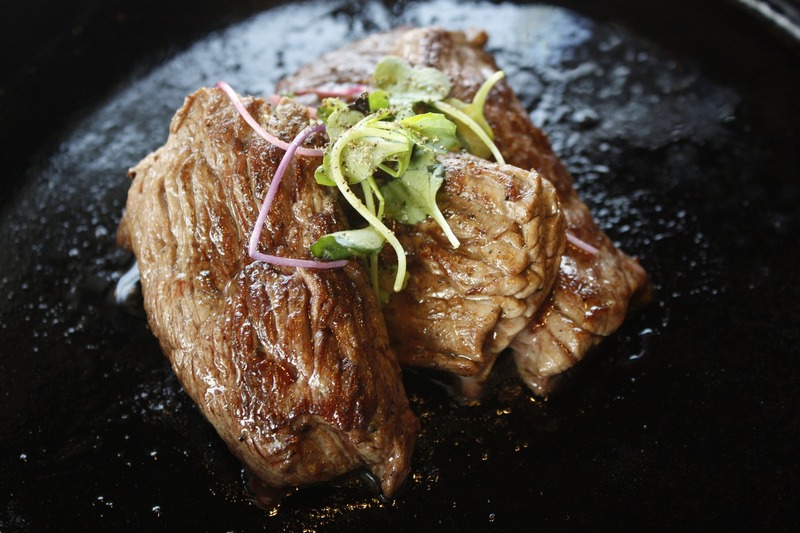 If you are a seasoned paleo expert, perhaps this plan sounds basic to you! Yet the unique way in which I recommend managing your fat and carb intake can be a real god-send. Most people on paleo don’t know that a low fat diet can actually work really well for some people… so perhaps it’s time you give it a shot! Learn more about my thoughts on weight loss, such as how to time your carb intake with your menstrual cycle, you can check out my super thorough e-book on the topic, Weight Loss Unlocked. Weight Loss Unlocked is also full of practical advice and has simple, easy-to-follow meal plans and recommendations. You can read all about them here. And that’s a wrap! 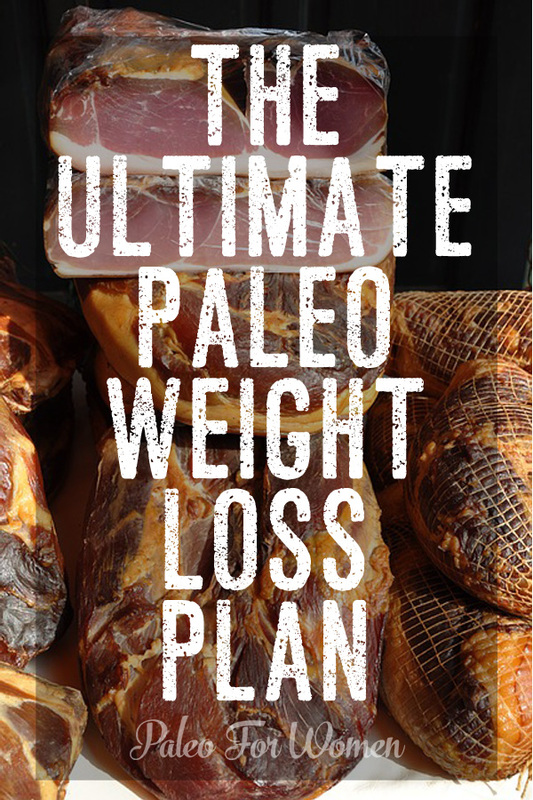 What do you think of the Ultimate Paleo Weight Loss Plan? Do you have my carb and fat theories? Love them? What works for you? Do you have any tips you’d like to share?! Please do!!! Wow Stef. You just gave me an Ah-ha moment! I’ve been struggling on a low-fat (Peat) diet for the past 6 months and I am simply not getting better. It’s so hard for me to reconcile the science behind Peat’s ideas with my own experience. I come from cold climates where fruit would have been scarce and my ancestors would’ve relied on fat and fermented dairy and vegetables. Do you think that impedes my process? Because no matter how hard I try eating frequent, high carb meals just makes me hungrier. I can’t lose weight at all and my insomnia has become chronic. I thought I needed to get used to burning carbs for fuel again but it’s been 6 months and things have only changed for the worst. I don’t get why others are successful and I’m not. Am I doing something wrong? By the way, had my 23andme tests back and I love the direction your blog is taking. I can’t make sense of this stuff on my own, hehe! 🙂 Have you thought about writing a book on that? I’d absolutely love that. a book on genetic mutations? hahaha NO WAY, there’s no way I could be considered an expert on those topics in any regard. I love your website and I follow you on facebook, I like your vision of women, it very helpful too accept myself! It probably won’t hurt your metabolism to go either low carb or low fat, but it sounds to me like you are sitting at a healthy weight that your body is comfortable at. If you want to drop the “last ten pounds” you may need to restrict either carbs, fat, or calories, or exercise a LOT. Most women’s bodies aren’t made to be super thin, so achieving that kind of thinness for us (I am definitely one of them) can take a more serious effort. I have since stopped making such an effort. Whenever I want to tone up a little bit, however, I go low fat for a while. I just ordered your book on Amazon. I eat Paleo and have lost quite a bit of weight over the last year. I used to run a lot, but I found training for my last half marathon was taxing and stalled my weight loss. I am leaning towards strength exercise and less cardio (shorter runs). I like the Jillian Michaels Body Revolution Program. I did it a few years ago. Do you think this program will help or hurt my continued weight loss, leaning out, efforts? It is 6 days a week, 30 minutes each, consisting of 4 strength workouts and 2 cardio workouts. I tend to be the kind of person who needs a regimented routine so having a program just helps. What do you think? I’m not sure, Tammy. I suppose you could always try the workout for a couple weeks and judge for yourself? And be sure to refuel properly afterwards? I also think 4 days of strength workouts might be excessive, unless you are certain to exercise different muscle groups. You could always do her program but cut out one or two of the days each week? What if I tend toward insulin resistance but also have a hypothyroid condition? Which would you suggest? I have a very significant amount of weight to lose.